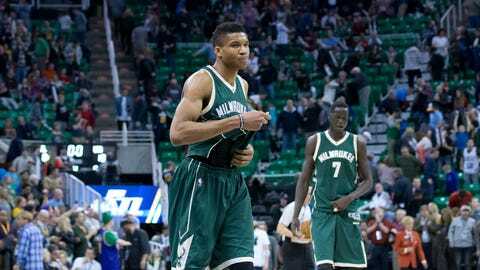 Coming in losing eight of their last nine and falling one game back of the eighth seed, the Bucks were looking to get back on track. 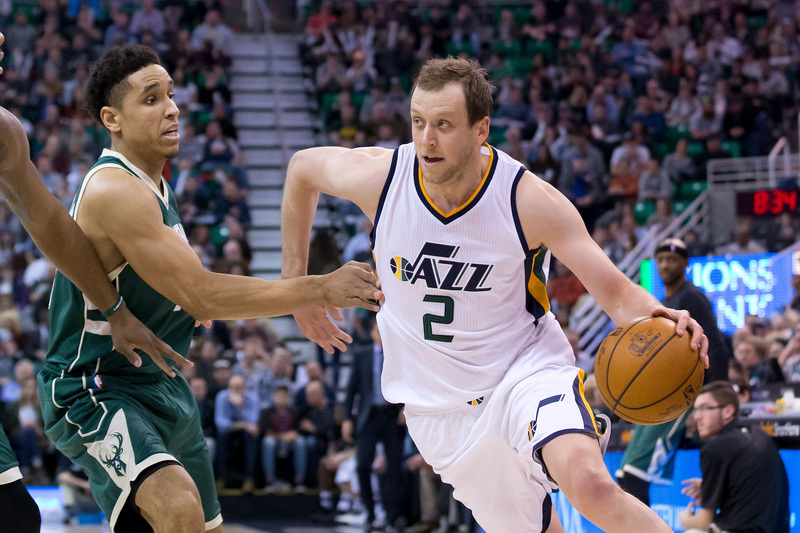 The Utah Jazz ended up being too difficult of a challenge to overcome, though. The Milwaukee Bucks started the first quarter with energy, matching the Utah Jazz blow for blow. 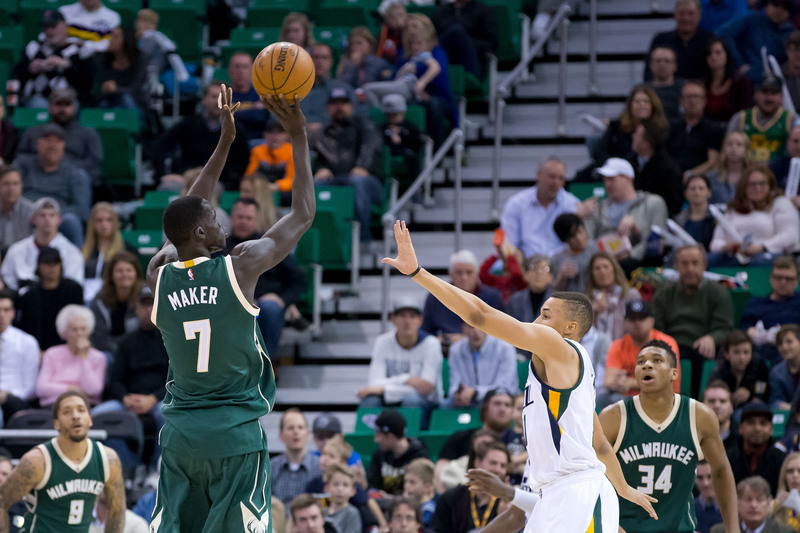 Thon Maker was the star for Milwaukee, hustling for two rebounds, a steal, and two blocks in the first five minutes of the game. Giannis started the game finding it difficult to get an open look inside against the leaning tower that is Rudy Gobert. He would finish the quarter 1-5 from the field. The Bucks’ All-Star would be forced to create for his teammates, finding Tony Snell on two kick out threes. The first quarter would continue to go back and forth, blow by blow. The bench entered the game and played with the same level of intensity as the starters. The team played a tough first quarter, but against one of the Western Conferences best, they found themselves down 30-27. The Utah Jazz started the second quarter off with two quick turnovers. Milwaukee would capitalize with two buckets to take the lead 31-30. To continue the trend as of late, the Bucks lead would not last long as Utah would go on a 6-0 run. The Bucks would not come back and snag the lead as the Jazz slowly built a double digit lead. They took advantage of the open three from the corner. When the Bucks occasionally tried to close out harder and defend the corner, they fell victim to the back cut. Milwaukee would give up another 30 point quarter, falling behind 61-48. The Bucks would finish the half without a double digit scorer, led by Greg Monroe with eight points. The defense looked out-matched against the Jazz’s low tempo, make the defense pay for their mistakes offense. Jabari Parker spent the half chasing Joe Johnson and Gordon Hayward. They took advantage. The defense picked up to start the second half, giving up just seven points over the first five minutes of the third quarter. The offense just wasn’t clicking enough to cut into the lead. 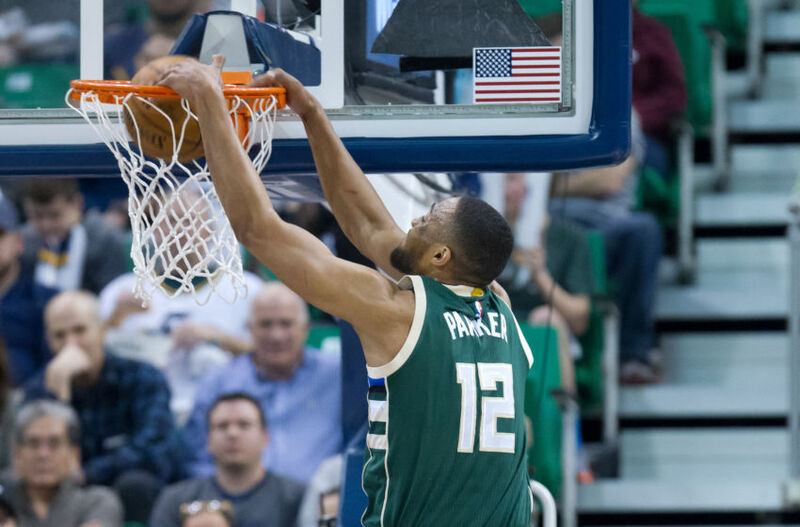 The Bucks wouldn’t have a player hit double digits until a Jabari drop-off dunk with 6:43 left. Any hopes of turning this game on its head and coming back seemed lost at the end of the third quarter. The Utah defense buckled down and gave the team nothing easy. Utah was able to build their lead to 80-61. 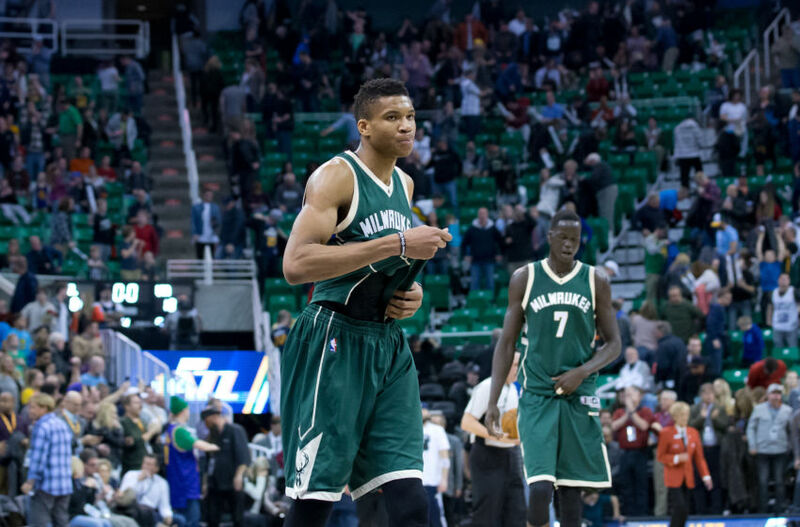 The final quarter went to the Bucks as they outscored the Jazz 27-24. The quarter was largely uneventful as both teams were sort of just playing the clock down as the game was in hand. Thon got some more run, hitting three consecutive threes from the top of the key. The final score was 104-86, as the Bucks have now lost nine of their last ten. Now lets move on to the takeaways. 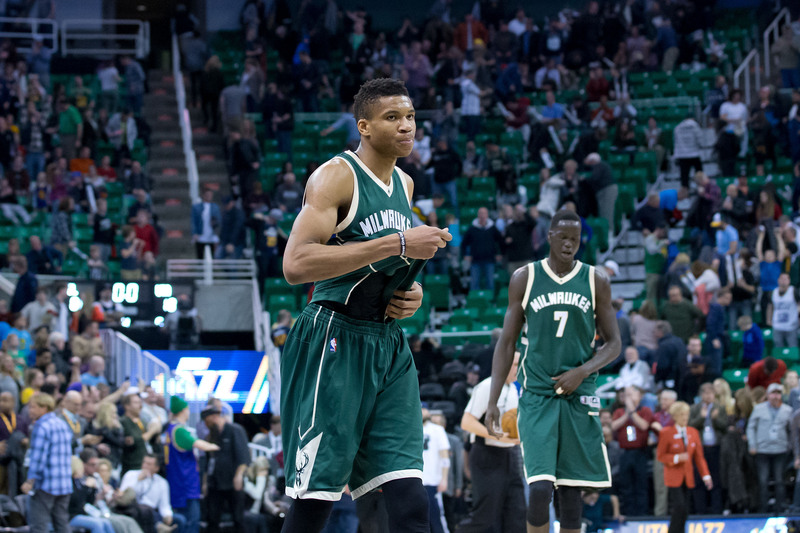 Giannis Antetokounmpo looked out of sorts from the get-go. The 22-year-old tallied nine points, six rebounds, four assists, one steal, and three turnovers. He shot 2-10 from the field, 0-2 from three, and 5-6 from the line. He wasn’t able to get a good head of steam in transition on Wednesday. Nor was he able to weave and bob his way to the rim. The Jazz did an excellent job of making him work for everything. Utah is one of those matchups where you sort of expect Giannis to struggle. They play very controlled on both ends of the floor, making it more difficult for Giannis to express his skill set in transition. He ran into that wall, but his enthusiasm to deal with the issue was below his average. Whether it was difficulty dealing with the thin air, or frustrations with the team’s current play, he looked very off. Jabari Parker struggled to make an impact in the first half. The ball wasn’t going down, and he was getting beat on the defensive end. Much like Giannis, his mind set looked off early on. He was having trouble picking when to attack, especially against the long armed Rudy Gorbert. The Bucks were struggling and Jabari wasn’t making an impact on the game until the lead was stretched to 25 points. The 22-year-old has played some of his best basketball this season when the Bucks are being blown out. His pride kicks in and he gets very aggressive. Jabari scored 13 of his 17 points in the second half. It’s great that he takes pride in not getting blown out, but when he learns to use that pride to win games, the team will be better of for it. This was a difficult night for him on the defensive end. He was matched up with Gordon Hayward and Joe Johnson who both got in a grove and produced. The Jazz are a tough match up for both of the team’s young stars. It’s been five games since Malcolm Brogdon returned to the bench in the team’s attempt to shake things up. It took him a couple games to get his chemistry back with the second unit, but he’s back to playing good basketball. It wasn’t his best game, he had three turnovers, but he ran the offense smoothly throughout his 31 minutes. The rookie attacked the gaps he was given, setting himself up, or hitting a teammate in the corner. He hit Moose as much as possible, giving the impression that their chemistry has returned to its previous form. The team wasn’t hot tonight, so his play didn’t result in much overall, but they looked smoothest with him driving the car. If the losing streak continues, it’ll be hard to keep him out of the starting lineup. 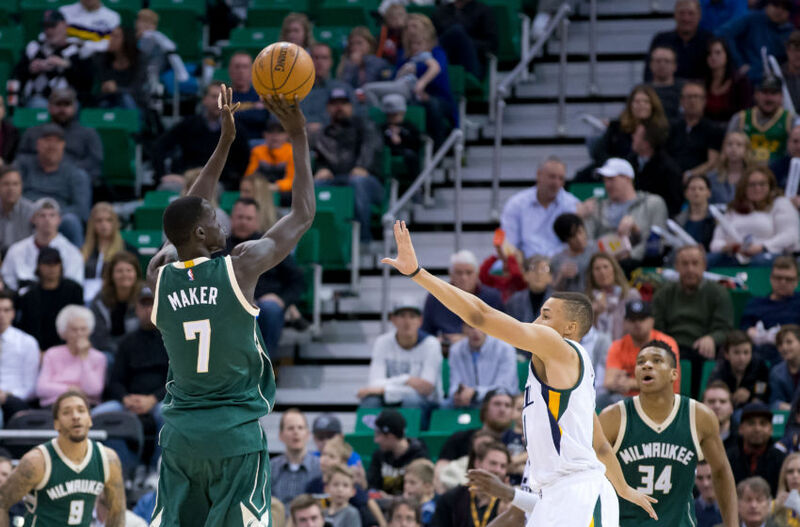 Thon Maker started for the second consecutive game. He logged a career high 24 minutes, recording 12 points, five rebounds, one steal, and three blocks. The rookie is just getting his feet wet against this level of competition. When he’s on the floor, he’s trying to prove himself. He sprints up and down the floor on every possession. The 19-year-old fights for every rebound, even though he’s usually going up against someone much stronger than him. He may not be able to grab the ball, but he makes the effort to tip it to a teammate. On the defensive end, he tries to contest everything, which isn’t uncommon for a rookie. It can be a mix of trying to make a difference, and not having the experience to pick your spots. It’s not always a good thing, but with the depth the team has at center, he’s allowed to make mistakes. The team was failing to produce a lot of energy in the fourth quarter, when Thon hit three pick-and-pop threes in a row to cut the lead down to 15. The rookie has the power to step into the game and provide the team with energy, that may become more and more important as time goes on. The Bucks pick it up again Friday night in Denver, with tip at 8pm CT.